Rainbow in My Room by Uncle Milton. 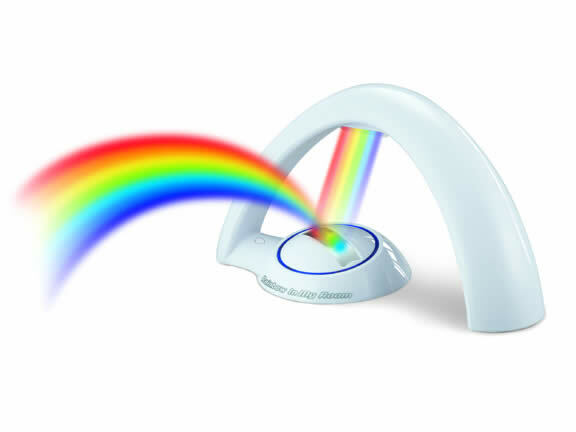 Now you can project a beautiful rainbow across your walls and ceiling in your room! Length: 11" Width: 9" Height: 4.5"